Thank you for your interest in our carriage company. 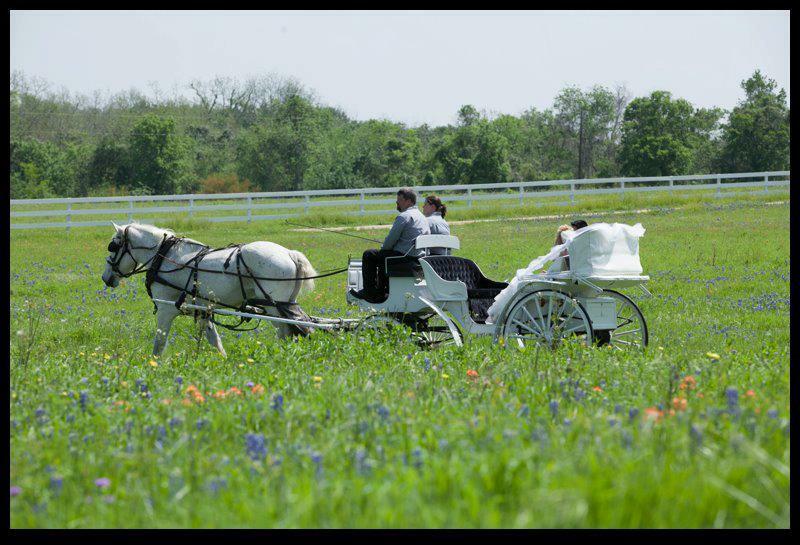 After providing carriage service to the Brazos Valley for 11 years, we have decided to retire. We made this decision with a heavy heart knowing that we no longer would be a part of many magical weddings and family gatherings. It was just time for us to dedicate more time to our family & our careers. We also wanted Twist, our magnificent horse, to have a great retirement. Twist is enjoying his retirement, although he does miss his fans and exploring the streets. Many have asked where he is. He is at home with us and that is where he will be for the rest of his life. He is a part of our family. I think he gets bored from time to time, but he does enjoy his long naps in the hay. MANY THANKS to everyone who allowed us the honor to be a part of their weddings, family celebrations, First Friday rides, marriage proposals, Valentine’s, and Christmas celebrations. I really cannot put into words how honored we have been to be a part of it all. I will leave the “Contact Us” form on here so you can still reach us, if you would like.